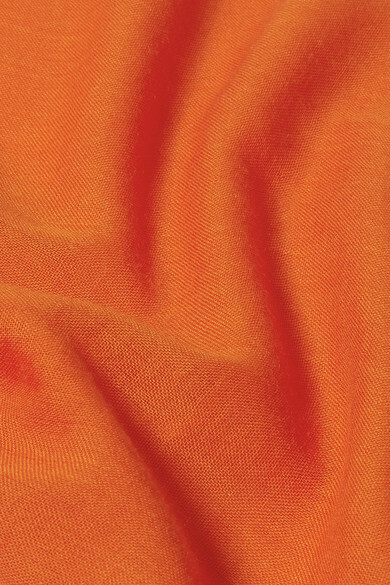 Loewe's orange scarf is the easiest way to add a pop of color to everyday outfits. It has been spun in Italy from the softest blend of cashmere and cotton, and stamped with the label's 'Anagram' in beige. 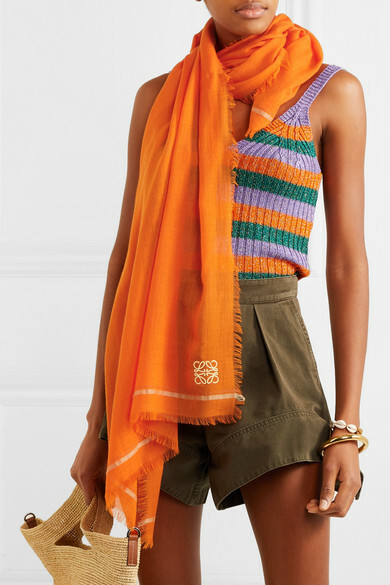 Light enough to wear as a coverup, drape it over your shoulders when you're sitting out in the sun. Shown here with: GANNI Tank, JW Anderson Shorts, Loewe Tote, Sophie Buhai Bangle, Tohum Bracelet.